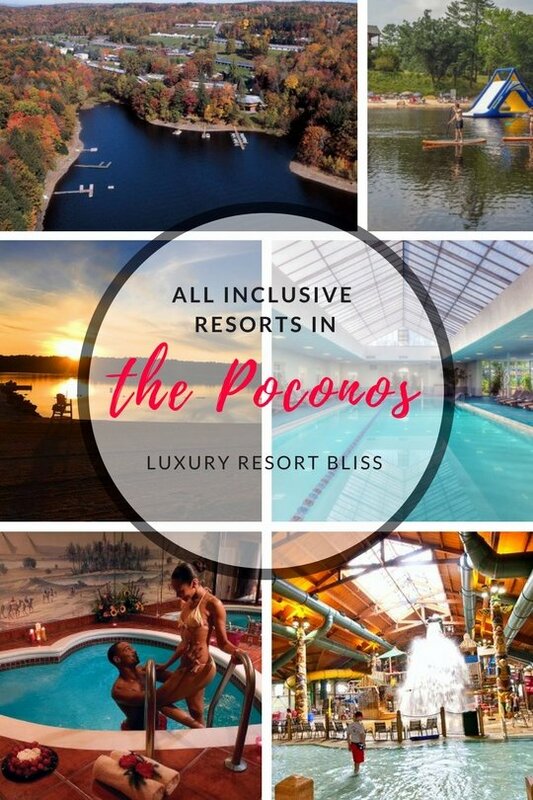 Looking for some great Poconos all inclusive resorts? There are a few good options. Two great for families, others great for couples. 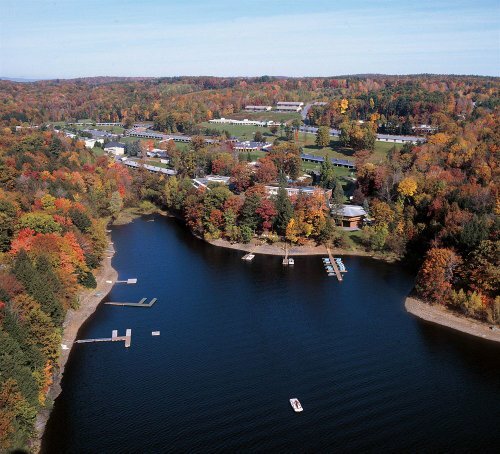 Skytop Lodge is one of the highest rated Poconos all inclusive resorts and the only conventional resort suitable for families (as the others are couples only). In the winter, it's a ski-in/ski-out resort with a free ski shuttle and ski storage. In the summer, there is a golf course, indoor and outdoor pools, 8 tennis courts, and conference center. 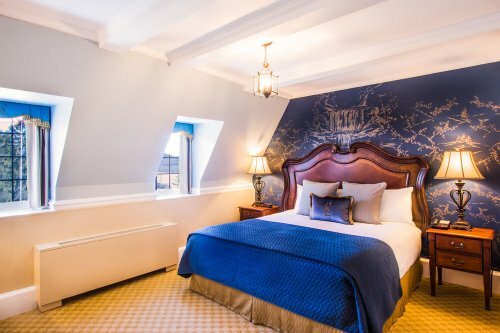 There are 192 guestrooms, 3 restaurants and 2 bars. Get more information and see the latest reviews for Skytop Lodge. This is a unique all inclusive property on 800 acres in the Pocono Mountains. 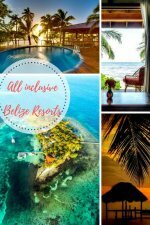 It offers you a Cowboy style vacation with all inclusive packages. Great for family vacations and large group get-togethers. There are 20 private cabins, a boat house on a lake, and main lodge chalet style rooms. Meals are included and you may have a great rodeo experience while you're there. Reviews are excellent here with past guests saying the whole experience was wonderful. See the latest reviews or visit the official website here for more information. This top Poconos all inclusive couples resort is set among the iconic colors of the Poconos mountain area. 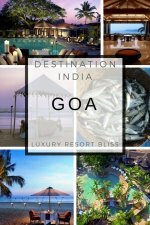 Whatever the activity you like to do together this resort is likely to cater to your tastes. Play golf together, go for a paddle in a canoe, enjoy wondering the pristine mountain environment, or simply take a ride on a bicycle together. All in all this makes for a great activity to do on a honeymoon or a romantic weekend away. Another couples-only resort. 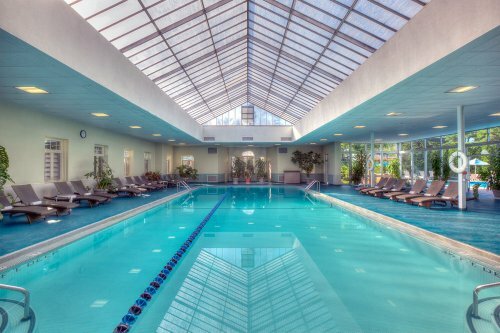 Couples can enjoy a health club and spa, have a game of indoor tennis, go ice-skating in the winter, play racquetball, or a host of other activities like mini-golf. There is also a great indoor pool, and a marina with water equipment and fantastic nightly entertainment. This resort is all suites. While many come with champagne glass tubs, heart shaped tubs or private pools, they are are all designed for fantasy and intimacy and make for a great romantic time together away with your loved one. Mount Airy Casino Resort: has a variety of spa, escape and golf packages that include various options (like food). Good reviews. The Inn at Pocono Manor: a resort with good reviews and a variety of packages including breakfast and 4 course dinner, golf packages and spa packages. Has a variety of packages including a waterpark, some food packages and other attractions. Click to see our review. 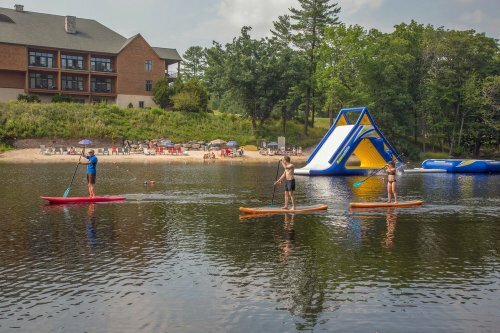 Apart from these resorts, there are a few other good Poconos resort options depending on what you are looking for. 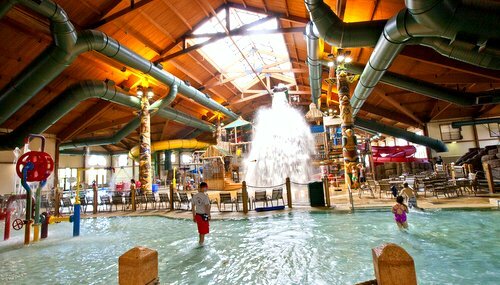 Our Poconos Resorts page list a few more options for a great vacation in the Poconos.